Passionatemae | Food has a way of bringing people together: Craving! 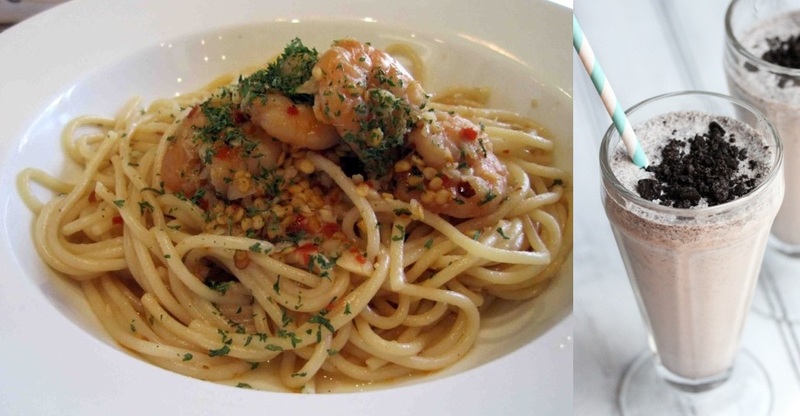 Spicy Prawns Aglio Olio and a tall glass of Cookies & Cream milkshake! Mmmm...slurping that cold icy milkshake...and enjoying firecrackers in my mouth with that pasta!